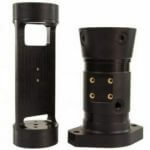 Most noteworthy, Ultem ® is a high-strength amorphous polymer with excellent heat and flame resistance, (carrying a flammability rating of 94-V-0) with little smoke output. Furthermore, it performs continuously to 340° F, making it superior to commodity plastics such as Nylon and Delrin®. Also, Ultem ® is an ideal solution for applications that require high strength and the ability to withstand high temperatures. Finally, the product also suits applications that require consistent dielectric properties over a wide range of frequencies. 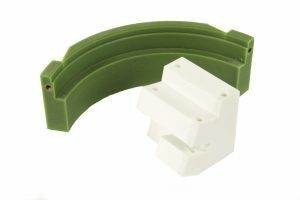 Always providing exceptional CNC Machined Plastic Parts through 27 years of experience in plastic production. Most noteworthy, having the ability to accomplish tight tolerances. Furthermore, a great depth of knowledge when CNC milling and turning the huge variety of plastic materials available. And, because Sentinel works solely with plastic, we have a focus that gives us an edge over our competitors in the industry. Being hydrolysis resistant and highly resistant to acidic solutions, and is able to tolerate repeated autoclaving cycles, such as with repeated steam sterilization of reusable medical devices. Ultem ® is widely used in electronics because of its good arc resistance and dielectric constant. Therefore, other typical applications include analytical instrumentation and structural components that require high strength and rigidity at elevated temperatures. Above all, Ultem has outstanding strength and amorphous thermoplastic among the available alternatives. Also, predictable stiffness and strength up to 200 °C. Furthermore, Transparent grades are equal in strength to other thermoplastics with opacifying fillers. Certainly, the most dimensionally stable thermoplastics available, offering predictability over a wide temperature range. Also, filled grades offer exceptionally high-tolerance dimensional capabilities. Unlike most other amorphous thermoplastics, ULTEM machining resins retain strength and resist stress cracking when exposed to automotive and aircraft fluids, aliphatic hydrocarbons, alcohols, acids, and weak aqueous solutions. Inherent flame resistance without additives in most grades – exceptionally difficult to ignite, with a limiting oxygen index (LOI) of 47%, meeting UL94 V0 specifications in sections as thin as 0.41 mm. Generates extremely low smoke per the NBS smoke evolution test, with products of combustion no more toxic than those of wood. 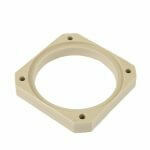 Above all, Ultem can be CNC Machined, turned & milled. 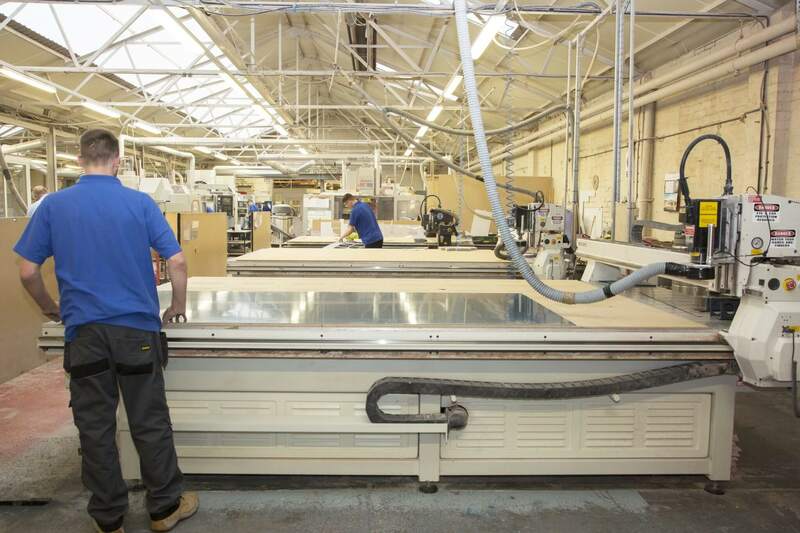 Having cutting tables, which are capable of taking large sheet sizes up to a maximum of 3000mm x 2000mm and materials ranging from 1mm up to 50mm in thickness. Our top brand name machines are able to achieve high standard finishes and sizes every time. Sentinel has four Plastic CNC Turning Lathes All are able to produce, almost any turned or milled shape, from the extensive range of industrial engineering plastics available in today’s market. Including Ultem Machining. Our top brand name machines are able to achieve high standard finishes and sizes every time. Ultimately, our experienced at Sentinel has many years experience and knowledge in machine exceptional quality plastic parts. for various industries including medical, subsea and power control. The range of sizes and shapes are grade specific. Ultem ® 1000 is the standard, unfilled grade of Ultem ®. It is resistant to UV and gamma radiation, performs especially well in hot air and water environments, retains 85% of its tensile strength after 10,000 hours of immersion in boiling water and 100% of its tensile strength after 2,000 cycles in a steam autoclave at 270°. Ultem® 1000 is FDA and USP Class VI compliant and USDA and NSF approved. The standard color is amber. Ultem® 2300 is a 30% glass-reinforced grade of Ultem ®. The addition of glass fiber provides greater tensile strength and rigidity while at the same time improving the product’s dimensional stability. The standard colors are tan and green. Finally, Sentinel Plastics Ltd is versatile, experienced, flexible, always aiming to be as helpful as possible. If, its plastic cutting , that does not constitute Molding or Extruding then there is a good chance we can help! Firstly, Sentinel is, ‘the’ place to go for Plastic Sheet Bespoke Shaped (profiling) to customer specification. Primarily through years of experience, almost all types of materials can be cnc machined. 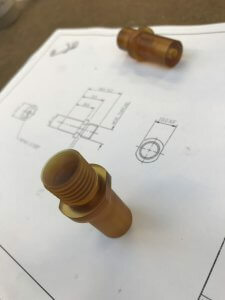 In addition, the ability to transform your design into a high quality finished component, is available at low cost, and with a quick turnaround. Most importantly, our high speed multi tool machines have quick programme access with fast changing tooling. Secondly, the variety of plastic sheets that can be profiled is vast. However, each material requires its own special considerations when cutting. For example, HDPE will cut at high speeds with fairly simplistic tooling. Whereas, high specification insulation materials, such as Epoxy Glass and Delamt, require specialised tooling at controlled variable speeds. Ultimately, the experience to handle this range of materials, has been gathered over many years. Significantly, it is worth noting, the plastic Sheets CNC Machined can range from 1mm thick upto 100mm thick. Overall, each machine is capable of facilitating 3M x 2M panel sizes. Hence, the panels or shapes you require, would only be restricted by the manufacturers standard sizes available. 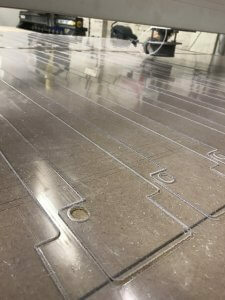 So, the list below contains all the plastic sheets CNC machined on any one of our 5 available routing tables. In addition, to the above, many variants of the above materials exist. Most noteworthy, all of these are included in Sentinels range of materials machined. Importantly, if you require a high standard of finish, or accurate size cutting, +/- 0.25 can be achieved, only our experience will provide these results. Plastic Sheet bespoke shaped can be offered to suit any application within a large variety of industries, whether a bespoke single unit or a batch of thousands is required. Please note, your enquiry can be quickly handled, using our state of the art database and production planning control. Hence, a quick and accurate quote, resulting in, fast responsive lead times. Finally, the Plastic Sheets CNC Machined are readily available through our network of materials suppliers and manufacturers. Most noteworthy, the plastic sheets CNC machined, can be as large as the sheet available, or only a few cm’s in size. Utmost, the limitations are few on what can be achieved. Likewise, with expert programming, and material understanding, allows Sentinel to produce most requirements its customers request. Sentinels, five CNC routers, cut in what are called three axes or directions. The variety of bits and a computer program working in those three directions, the sky’s the limit. Only, the overall size of the machine’s bed and cutting range will determine the maximum workpiece size you can manipulate. Being strategically based in the West Midlands, UK. Sentinel is a business that supplies companies all over the UK and Europe. Most noteworthy; Sentinel has customers in China and the USA. Having an already large customer base, among whom it can boast many long term blue chip customers. While established in 1989 Sentinel Plastics Ltd is an Industrial Engineering Plastic Machining UK and Fabrication company. Having a long history of supplying plastic sheet bespoke shaped to industry the company has accumulated invaluable knowledge to service modern day demands. A major part of the companies continued success story is the flexibility to meet customer requirements and move with the times. Finally, Sentinel Plastics Ltd is versatile, experienced, flexible, always aiming to be as helpful as possible. If its plastic cutting that does not constitute Molding or Extruding then there is a good chance we can help! Go To Plastic Machining. Or Plastic Fabrication. For 2018 Sentinel Plastics Ltd, CNC Machining Plastic specialists and Fabrication, we are investing and expanding more due to our popularity and keep up with growing demand. Spending the sums of money we have, expanding our facilities and buying new CNC machines are all part of our growth strategies. The outlay will ensure we, as engineering and industrial plastic specialists, continue to meet increasing demand while keeping at the forefront of industry innovations. New developments, at our site in the heart of the UK, includes reconfiguring the manufacturing facility. Also a dedicated materials store and an incoming goods receiving area, as well as homes for newly acquired machinery. Investment in online marketing, including a new website; www.sentinelplastics.co.uk, has ensured Sentinels presence remains international as well as national. With a fair percentage of interest now coming from the USA as well as european customers. Sentinel Plastics recent equipment purchases include 2 New Mazak CNC Machines, both expanding capacity and increasing the company’s capabilities. This will bring the total number of machines introduced to the company within the last 18 months up to 6. The continued investment in current and new employees also enhances existing capabilities, as well as attracting new skills and young apprentices. Sentinel recently added another CNC Machining member of staff to its already experienced team. Joining our CNC Plastic Milling section, Craig brings with him many years of high quality programming and machining knowledge. Adding Craig’s huge technical ability to the experienced Quality Plastic Machining Staff already in place, offers more capacity and improved efficiency. The art of plastic machining can be difficult to adjust too, Craig though has taken to it like a duck to water. 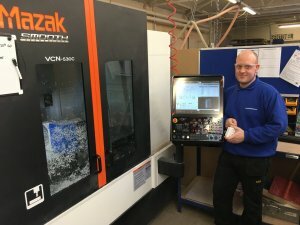 While working on one of the recently added Mazak’s, the added value his experience brings is already bearing fruit. That combination and his endless smile are a cheery sight to see for any employer. Firstly virtually all Industrial Engineering Plastics supplier Materials available today can be Machined and Fabricated at Sentinel. Offering customers a wealth of knowledge in the huge range of plastic materials in sheet, rod, fabricated and machined form. Especially relevant is that customers know Sentinel Plastics is a long standing, trusted Plastics Company. Since its inception in 1989, it has been machining and fabricating all types of industrial plastics. Whether your requirement is one off or high batch work, the capacity available does enable us to offer shorter lead times. 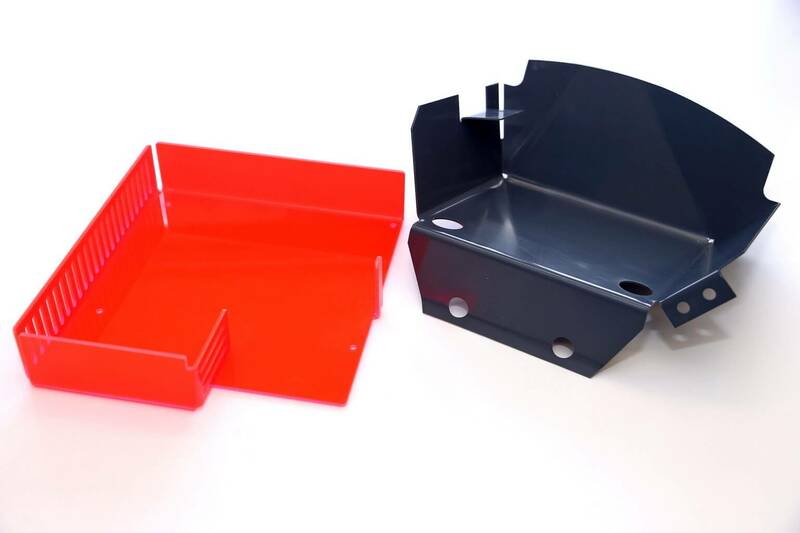 The quick turnaround times combined with quotes, which are in the main supplied on the same day as requested, is one reason many customers constantly return to Sentinel for all their plastics companies machined and fabricated parts requirements. Sentinel has trained many of its CNC Programming staff in house which gives a better focus and knowledge on the special requirements of each individual type of industrial plastics. The product of having long term staff base, results in a high depth of knowledge throughout the whole manufacturing process. Probably as a result of having a very low turnover of staff. Customers from the Conveyor Manufacture to the high tech world of underwater exploration use Sentinels skilled staff to gain benefits, including cost saving and problem solving during the design process. Also Sentinels Plastics precision machining service is supplied to UK companies and across the world. In addition our first rate facilities and constant striving for excellence, gives our customers confidence in the parts that we supply. Hence they have come back year after year, some for over 25 years. Most noteworthy as a well-established Engineering Plastics Supplier CNC machining and Plastic fabrication company based in Cradley Heath in the West Midlands. Sentinel Plastics Ltd has an already large customer base, which includes many long term blue chip customers. Engineering plastics are a group of plastic materials that have better mechanical and/or thermal properties than the more widely used commodity plastics (such as polystyrene, PVC, polypropylene and polyethylene). plastic machined parts. The term usually refers to thermoplastic materials rather than thermosetting ones. Examples of engineering plastics include acrylonitrile butadiene styrene (ABS), used for car bumpers, dashboard trim and Lego bricks; polycarbonates, used in motorcycle helmets; and polyamides (nylons), used for skis and ski boots. Engineering plastics have gradually replaced traditional engineering materials such as wood or metal in many applications. Besides equalling or surpassing them in weight/strength and other properties. Engineering plastics are much easier to manufacture, especially in complicated shapes. Click the links below for more information on machining options! While established in 1989 Sentinel Plastics Ltd is an Industrial Engineering Plastic Machining UK and Fabrication company. Having a long history of supplying plastic parts to industry the company has accumulated invaluable knowledge to service modern day demands. A major part of the companies continued success story is the flexibility to meet customer requirements and move with the times. Being strategically based in the West Midlands, UK. Sentinel is a business that supplies companies all over the UK and Europe. Also most noteworthy; Sentinel has customers in China and the USA. Having an already large customer base, among whom it can boast many long term blue chip customers. Sentinel is currently attracting large amounts of extra business, due to a very active and successful marketing period. Furthermore; we have 8 No CNC Machines, which includes a Mazak VCN 530C with 5 No XYZ 1020 VMC. 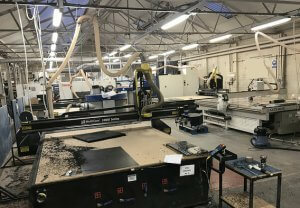 Also 2 Bridgeport’s VMC plus 2 ProTurn Lathes and a Mazak Mill/Turn. These are just a few of the machines that are available to produce Quality plastic CNC components. Included in the extremely large amount of Engineering Materials,which fall under Sentinels capabilities, include, but are not limited to PEEK, PTFE and Nylon, with Acetal, Tufnol, and GPO3. Without doubt, Sentinel Plastics fabrication capabilities takes many forms. While being able to Weld and bend Polypropylene, PVC and Polycarbonate. Adhesives and Folding/ Line Bending other materials such as Perspex, ABS, PVC and PETG. Assembly also takes place with fixings or adhesives of Polycarbonate, PETG, Polypropylene and PVC. Furthermore, all parts manufactured by Sentinel Plastics Ltd, are customer specific bespoke plastic cutting parts. Either working from Prototypes, drawings, making a One off or hundreds of parts. Sentinel Plastics has flexibility to meet most requirements. The place to come for large or small plastic cutting on one of a growing number of flat bed CNC Routing machines. All our table sizes are 3Mx2M which gives us the capability to manufacture economically. And will meet the largest size requirements. As plastic machining specialists, we offer machining and plastic fabrication services for single units or large quantities. Also, using a wide variety of engineering plastic materials from stock, as well as being a plastic sheet supplier. Whether you supply a finished drawing, sketch, template or sample we will ensure the result will be a quality product. If you want it machined, bent, drilled, fabricated or polished we will be able to help. 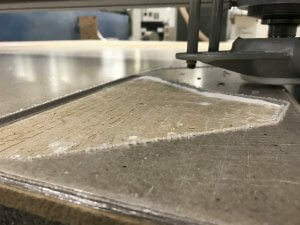 Its important to note, we have the latest CNC machinery, up to date, state of the art cad cam software and modern tooling which enables us to produce excellent surface finishes whilst working to the tightest tolerances the material allows. Thus, we are happy to produce and quote for components using anything from 2D hard copy drawings through to 3D cad models and can also reverse engineer from existing parts. Commonly, we supply many bespoke plastic conveyor and change parts for use in automation applications within the bottling, packaging, printing, food processing and materials handling industries. Precision machining plastics is very different to machining metals, and requires a very different approach in terms of tools selection, cutting paths, numbers of passes, cutting speeds, pecking, reaming and multiple other factors. The first step to this is a precise heat treatment protocol for the plastics to pre-shrink the base material and de-stress it. Throughout the machining processes we also conduct many first-off inspections and annealing cycles to ensure quality is built into and maintained in all components. When dealing with transparent plastics such as Acrylic / Plexiglas / Lucite (PMMA) or Polycarbonate, any minor errors or marks are immediately visible, so visual inspection stages are built into the process at multiple points. Sentinel precision machine plastic components for blue chip customers operating in the medical, specialist industrial and high end power control markets. The company has a reputation for supplying quality plastic component parts on time, right to drawing and at competitive prices. Sophisticated data manufacturing procedures, track customer’s products throughout the manufacturing process. Sentinel is considered a category A supplier by many of our customers. 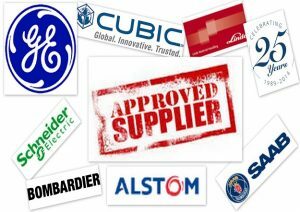 To support these customers, and the fluctuation in their build plans, Sentinel operate scheduled supply agreements. Which then allows customers to call finished goods from stock. Schedule supply agreements allow Sentinel to optimise the manufacturing process. Which in turn, reduce the manufacturing costs and ensure the most efficient supply of finished parts to our customers. At Sentinel we produce high quality, precise plastic components to all industries across the UK. Whether it be a one off or a run of thousands. The standard, consistency and attention to detail will not be compromised. We can produce anything from simple wear strips, to complex 3D components, in an extensive range of materials including. Including, but not limited to, Nylon, polypropylene, acetal, Delrin, UHMWPE, HDPE, PTFE, PEEK, acrylic, PET, Tufnol, PVDF and polycarbonate. Finally, we can offer products to suit any application within a large variety of industries. Whether a bespoke single unit or a batch of thousands is required. Our UK wide customers benefit from our skills, experience, flexibility and attention to detail. Also, our turnaround times cannot be beaten whether you are local or elsewhere in the UK.